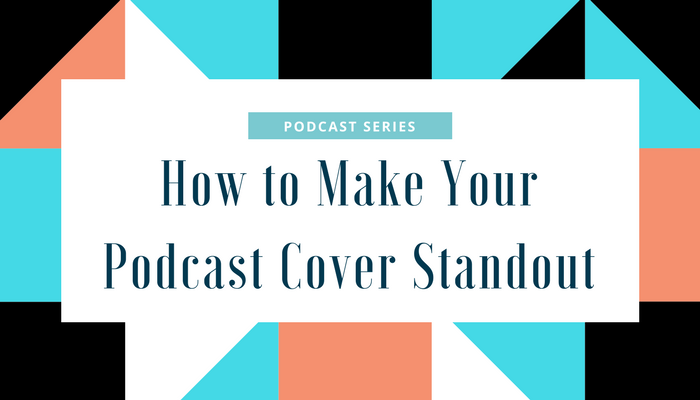 In this blog post which follows a series of other podcast related posts, we are going to share a few quick actionable tips that you can implement to your podcast cover art that will not only make your channel more aesthetic but also get better clickthrough. People are going to consume your podcast on their iPhones, their iPads and sometimes even on their desktop. So if you are going to design a cover art for your podcast, it is essential that you design for scale. A lot of times podcasters design their cover art purely for the aesthetics without really paying a lot of attention to educating their target audience. Include specific keywords about your podcast in your cover art and make it pretty obvious for your audience to identify what your podcast is about. .. it is critical that you make the text/keywords related to your podcast prominent on your cover art. Also, remember to brand your podcast well by adding your podcast’s name and what it is about. Include a tagline too if you have any. One word that you definitely omit from your cover art is the word “podcast” itself. It is pretty obvious, isn’t it? Check out some of the popular podcast covers out there and you’ll know what is a good way to bring your brand out. One golden rule to follow when it comes to cover art, in general, is to use a font that is distinctive and consistent with your brand. .. 2 fonts should be enough for your cover art. For amazing font combinations check out fontpair.co. When I say Bill Burr’s MMP, what is the color that comes to mind? If you say black, then you know what I am getting at here. Add a good color to your podcast cover art and keep that consistent across all channels and social media. ..because in the long-term, it is the branding that matters more than anything else. So make sure you choose your colors well and keep it consistent. Great artwork on your cover would not really give a good impression if it was pixelated. If you are going to use an image for your cover, it would serve you well to use a vector or an HD image. You create and download amazing podcast covers from Canva for free. Do check them out! These were some of the things that you implement quickly for a better quality cover art and better click-throughs. Did you also know that a transcription of your podcast can help you reach a larger audience? It does, we checked. So do check Scribie out as well! Have we missed something out? Let us know in the comments below.